Morals are rules of proper conduct, what is good and what is bad. They inform people how to live a proper and safe life. Moral deeds seem to be what all people should do. But is this true? Maimonides saw the Torah parable teaching that an intelligent person should live a life based on reality, on what is true and false, while the average person who lacks the ability to do so should live according to “necessary truths,” morality. Thus Maimonides does not teach the importance of morality, just the opposite. Morality is only “generally accepted things.” True, Maimonides repeatedly stressed “good behavior,” such as the Aristotelian “middle path,” the need to avoid extremes. But this is the “generally accepted” morality, not the ideal. [ד-ה] כָּל אָדָם שֶׁדֵּעוֹתָיו כֻּלָּן דֵּעוֹת בֵּינוֹנִיּוֹת מְמֻצָּעוֹת, נִקְרָא ‘חָכָם’. וּמִי שְׁהוּא מְדַקְדֵּק עַל עַצְמוֹ בְּיוֹתֵר, וְיִתְרַחַק מִדֵּעָה בֵּינוֹנִית מְעַט, לְצַד זֶה אוֹ לְצַד זֶה, נִקְרָא ‘חָסִיד’. כֵּיצַד: מִי שֶׁיִּתְרַחַק מִגֹּבַהּ הַלֵּב, עַד הַקָּצֶה הָאַחֲרוֹן, וְיִהְיֶה שְׁפַל רוּחַ בְּיוֹתֵר, נִקְרָא ‘חָסִיד’; וְזוֹ הִיא ‘מִדַּת חֲסִידוּת’. וְאִם נִתְרַחַק עַד הָאֶמְצָע בִּלְבָד, וְיִהְיֶה עָנָו, נִקְרָא ‘חָכָם’; וְזוֹ הִיא ‘מִדַּת חָכְמָה’. וְעַל דֶּרֶךְ זוֹ, שְׁאָר כָּל הַדֵּעוֹת. וַחֲסִידִים הָרִאשׁוֹנִים הָיוּ מַטִּין דֵּעוֹת שֶׁלָּהֶן מִדֶּרֶךְ הָאֶמְצָעִית כְּנֶגֶד שְׁתֵּי הַקְּצָווֹת. יֵשׁ דֵּעָה שֶׁמַּטִּין אוֹתָהּ כְּנֶגֶד הַקָּצֶה הָאַחֲרוֹן, וְיֵשׁ דֵּעָה שֶׁמַּטִּין אוֹתָהּ כְּנֶגֶד הַקָּצֶה הָרִאשׁוֹן; וְזֶה הוּא ‘לִפְנִים מִשּׁוּרַת הַדִּין’. וּמְצֻוִּין אָנוּ לָלֶכֶת בִּדְרָכִים אֵלּוּ הַבֵּינוֹנִיִּים, וְהֶם הַדְּרָכִים הַטּוֹבִים וְהַיְּשָׁרִים, שֶׁנֶּאֱמָר (דברים כח:ט), ‘וְהָלַכְתָּ בִּדְרָכָיו’. An individual who is very careful about himself deviates somewhat from the mean to either side is called virtuous. For example, the individual who distances himself from pride and turns to the other extreme and becomes very humble – this is the virtuous quality. But if he only moves toward the middle and is humble is called wise – this is the quality of wisdom. The same applies to all other character traits. Both the essential truth of morality and the real truth advocate proper conduct. However, the essential truth focuses only on what the average person is capable of doing, morality. The difference between the two can be seen in the example presented by Maimonides in his Hilkhot De’ot. The average person following morality is advised to follow the middle path for it is easier than having to analyze every situation independently, while intellectuals, who are capable of using reason and considering the “true” results of their behavior, are told to deviate when advisable from the middle path. Translation by Shlomo Pines, The Guide of the Perplexed, pages 21-23. Maimonides repeats this lesson frequently. See, for example, Ibn Tufayl, Hayy ibn Yaqzan, University of Chicago, 2003, where he mentions many philosophers holding this view. Shemoneh Perakim, Eight Chapters, and Hilchot De’ot discussed below. 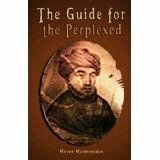 For a contrary interpretation of Guide 1:2, see Lawrence V. Berman, “Maimonides on the Fall of Man,” AJS Review (5, 1980) and Sarah Klein-Braslavy, Maimonides’ Interpretation of the Adam Stories in Genesis (Hebrew, Jerusalem, 1986) pages 36-168. The Hebrew is chasid, which could also be translated “pious,” but the concept of piety seems inappropriate here. Meaning, that while the preferred behavior, it is not obligatory; for as we are showing, most people cannot do this. Deuteronomy 28:9. Maimonides explains this later concept of imitating God in the next paragraph. Then, in the seventh paragraph, he advises people to develop habits of proper behavior so that when it is necessary to act, people can respond properly according to the habits they developed.